Do you use the lenses correctly? Do you clean it with water only? Discover what you should not do to take care of the health of your eyes. 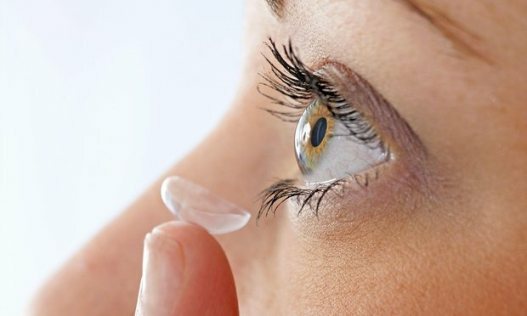 The lenses may be more comfortable and practical than glasses, but beware, because when using contact lenses, especially when cleaning should follow a series of tips to avoid some of the most common mistakes. And the fact is that few contact lenses used improperly can increase the risk of eye infection. Take note of the mistakes which should not commit. Although fatigue may with you, should always remove your lenses before bedtime because it can be dangerous for the health of the eye, among other reasons because it increases the risk of infection. By closing the eyes we deprive the cornea of oxygen, which causes an annoying sensation. To avoid, always remove the contact lenses before going to sleep. One of the most common errors, since it is completely insufficient because all the remains are not eliminated and this will increase the infection risk. Always use a suitable product, and before touching the lenses, wash your hands thoroughly with soap and water. Same recommendation for the case of lenses, which also should be renewed on a regular basis. And, if possible, always in single-dose. After applying the cleaner of the lenses should be used physiological serum. In this way, we ensure a correct cleaning. The recommendation to use single dose is that, by reusing the serum, it may increase the risk of infection or inflammation. No matter how short the shower it is, it is better to remove contact lens and, otherwise, avoid direct contact with the soap may cause irritation and itchy eyes. As for the sauna, avoid contact lenses with excess moisture. If the lenses are to be used and disposed of (one day) you should not use it to the next. Use it longer than recommended may increase the risk of appearance of bacteria. Also, never use a contact lens that is slightly broken or damaged.